Can I just gush about this story? It was FANTASTIC! The romance, the setting, the dark and mysterious (and a little beastly) hero. This is a swoon-worthy book. 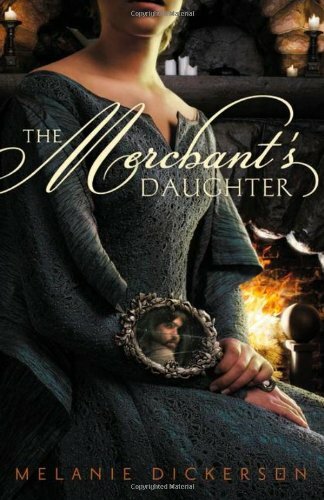 The Merchant's Daugher retells the story of Beauty and the Beast in a Medieval setting. Annabel is the daughter of a family that is lazy and spoiled. Annabel is taken to live at the manor house that is home to the lord of her area. She is told to work for her family's debt. I loved Annabel's character. She is so incredibly likable. I wanted to stand up and cheer everytime she and her "beast" became closer and wanted to scream everytime someone tried to hurt her. The beast is dashing and valiant. He has been hurt by his past, both physically and emotionally and believes that there are no second chances for love. I couldn't put this down! I love Beauty and the Beast and this retelling did not disappoint. I can't wait to pick up other books by this author. She is a fantastic storyteller!